Is it possible to rely on the didactics of the emotions‘ to prevent early school leaving? After more than two years from its start and before just ten months to its end, it is time to take stock for the partners of the project EUMOSCHOOL – Emotional Education for Early School Leaving Prevention and to programme the last and fundamental activities to be undertaken. With 27 schools involved, 45 teachers trained and 707 students who tested the Didactic of Emotions’ techniques in class, EUMOSCHOOL has already reached great results in its two years of implementation. 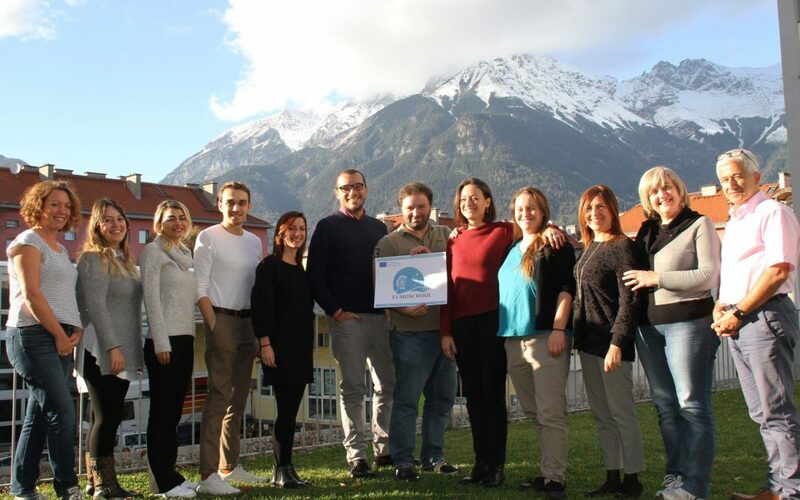 Project’s partners met in Innsbruck (Austria) on October 30 and 31 to take stock of the situation and to talk about the last activities to be undertaken and discuss about strategies to be put into practice to assure the sustainability of the project after its end. There is still a lot to do: a new cycle of training for teachers and students is at the door! During the last year, 45 teachers in Italy, Romania, Hungary, Austria and Turkey followed an on-line coursecreated on the free platform MOODLE, thanks which they have been trained on how to promote the well-being of their students at school, through the implementation of the Didactic of Emotions’ techniques. Teachers have learned what this methodology is, which are its theoretical basis and how it should be implemented in the practice with the students. Didactic of Emotions’ techniques help children and teenagers to familiarise with their own emotions, to recognise them and to manage them in an adequate way. This methodology helps the students in reinforcing the protective factors which support their healthy and balanced growth, protecting them from different risks, including the school drop-out. After that, they implemented some of these techniques with their students, more than 700 in 5 countries! Basing on the feedbacks received from teachers and students, the course has been improved and it will be soon available in its updated version, ready to be implemented with new teachers and students. We will held a public event, open to the participation of teachers, parents and stakeholders who want to know more about the project and the methodology. New teachers will be selected for participating to the second cycle of training and implementation in the schools.